ASA were appointed to design a new changing facility together with improvements to the Clubhouse in November 2016. The construction took place through the 2017 closed season for completion in April 2108. The project was partly funded by The English Cricket Board. The existing facilities were demolished and after reviewing various siting options it was agreed to use the triangular site of the current changing facilities. 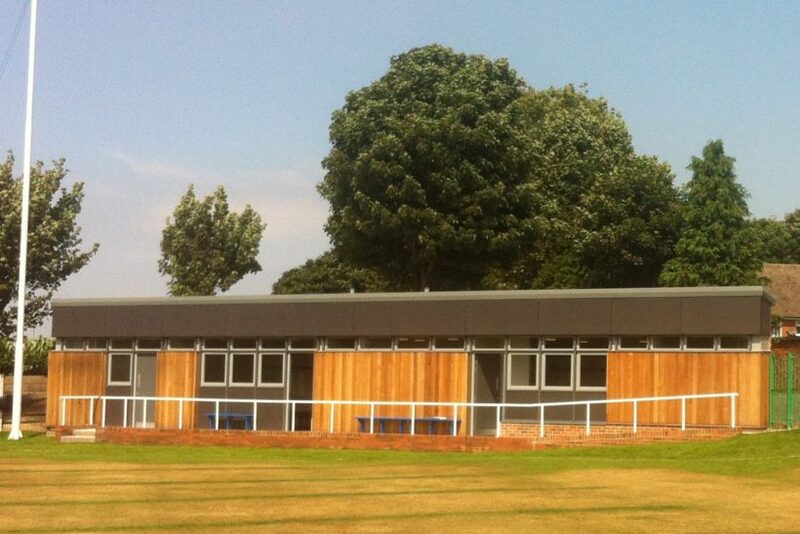 The clubhouse contains separate changing rooms, toilets, showers for the Home team and visitors plus umpire facilities. All to ECB and Sport England guidelines. Simple single span loadbearing structure, clad in cedar timber facing the playing square with brick cladding to gable and rear walls. Eternit fascia and spandrel panels with ribbed aluminium roof.